ItemI-57854 - Canoe River above the Goattick Rapids. ItemI-57855 - Canoe River above the Goattick Rapids. ItemI-57856 - Canoe River above the Goattick Rapids. ItemI-57857 - Forest fire near the Canoe River. ItemI-58002 - "Big Kettle" on the Omineca River, exploratory survey. ItemI-58003 - "Big Kettle" on the Omineca River, exploratory survey. ItemI-58004 - Meadow on the Upper Nechako River. ItemI-58005 - Meadow on the Upper Nechako River. 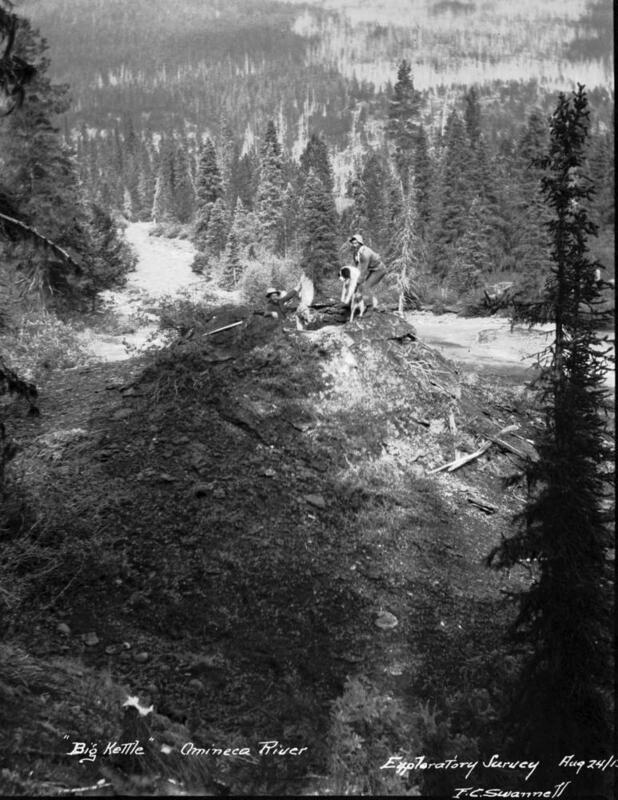 Item I-58002 - "Big Kettle" on the Omineca River, exploratory survey.